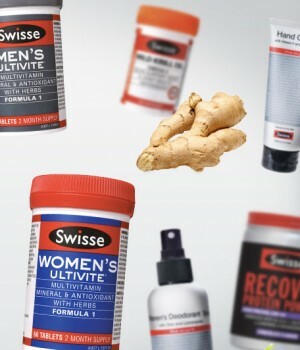 A case study on reinvention and growth: Swisse is not selling vitamins, it’s selling wellness. We have all heard of the 4Ps of marketing but at Swisse they are different. Putting values first and Strategy second, Radek Sali and his co-owners at Swisse Wellness, set about revolutionising the Wellness industry and taking it out of traditional health stores and pharmacies into the mainstream mass market. In just under five years, revenues have increased from $15 million to a forecast $250 million for FY2013. The brand has been taken into 30,000 stores in the US. And, the company has created an army of celebrity ambassadors, all hitting different target markets. All of this has has helped propel the Swisse from “vitamins only brand” into the niche “wellness mainstream” market. The result is a lift in brand awareness from 20 per cent to 95 per cent. All this is just under five years. Radek Sali, smart dressing and constantly smiling CEO of Swisse Wellness recently shared some insights and lessons about creating exceptional growth to a packed VECCI luncheon. Without a doubt, the strategic partnerships the company built in the 1990s helped build credibility that underpinned the company’s growth. Most doctors will only spend one day in their University course on wellness. Yet, there are already over 15,000 published studies on the benefits of healthy life and diet on maintaining and prolonging your health and wellbeing. 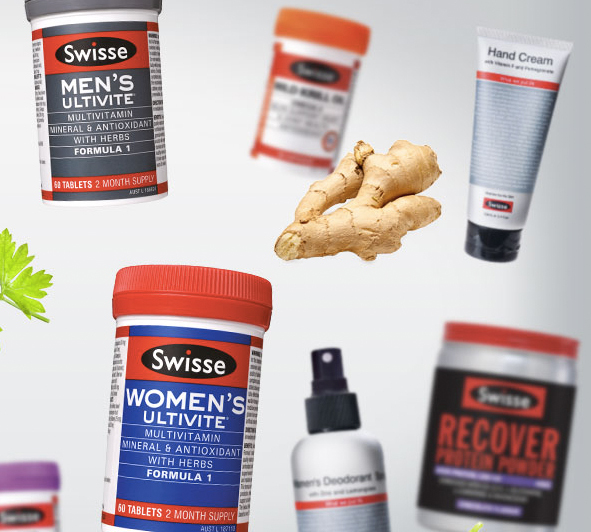 To concentrate on the promotion of wellness in the market, Swisse created a host of partnerships. It invested one per cent of revenue ($7 million over the past 3 years) into R&D in this area. This R&D investment was more than the company profits during that period. These partnerships have helped to build Swisse credentials in an industry previously tarnished with the ‘alternative’ medicine, a categorisation which Radek preferred to call ‘complementary medicine’. He also noted that this category now accounts for 14 per cent of consumers spending on health and wellness. Today, it is very hard to avoid the constant barrage of Swisse celebrities selling new remedies to a healthy life, wellbeing and happiness. There is the original ambassador Ricky Ponting, other sports stars and now, more recently, the heavy hitters of Ellen DeGeneres and Nicole Kidman who were a part of US launch. Sali pointed out that Ponting had been a long time Swisse advocate and user of their products during his playing career. He explained that asking if people would become an ambassador often cost less or, no more, than hiring an actor for their commercials. And, it created instant credibility. But, it hasn’t been all epic wins. In the case of Geoff Huegill, Swisse were approached when he was 139kg and committed to reinventing himself as a medal winning swimmer. Sali turned him down. But, he had to eat some humble pie later when the company went back to Huegill to ask him on board after his gold medal haul at the Commonwealth Games. He considers it a “learn, grow and improve” moment, which underpins the next fundamental lesson. We have seen and heard it several times before in successful businesses: the importance of creating a positive culture and having core company values. Sali noted his own personal ‘reinvention’ from that of the standard Aussie bloke with three suits on rotation, to forcing himself to ‘dress up different’ every day, to be more creative, to consciously smile, say hello to everyone and, create a positive ‘can do’ attitude at Swisse. In short, it took hard work and a personal investment of his time and energy, to create the ideal work culture. An example of how this culture has materialised at Swisse include a “health & happiness” day for employees to take an extra day off anytime in the year to ‘recharge’. This immediately resulted in reduced sick leave and absenteeism. Another example was the ‘gift’ of ‘feedback’ and embracing the ‘thanks’ that goes with receiving feedback when there is opportunity to improve. Using a sports analogy, Sali pointed out you should not be surprised, or hurt, to receive feedback to improve, just as a coach goes on at quarter and half time giving players advice to lift their game on field. Some of the perks of working as Swisse include having access to a personal trainer, a masseuse, free organic breakfasts and lunches and, a healthy lifestyle workplace. These elements of the work culture was noted and commented on by Ellen DeGeneres when she visited their Collingwood offices. Last but not least, Sali spoke about his preference to forecast with cash flows. He believes you should only ‘bet what you are willing and can afford to lose’, rather than chasing illusive ROIs. This is especially true when it comes to innovating new products, categories and markets. He believes it is human nature is to make the numbers work and hit the hurdle rate ROI. However, if you can take the approach of determining what are you prepared and able to bet (and possibly lose) and deciding how bold to be, a business is going to achieve a different outcome. Sali and the Swisse team have serious and lofty ambition: $1.5 billion in sales in five years time. This translates into a massive lift from the $250 million in sales today. The company has plans to expand into more countries, including Europe and Asia, to create a truly global brand with Aussie roots. Sali knows it is ambitious and, not without its challenges. He admits, like everyone he has his ‘oh S**T’ moments and fears but, pointed to the fact everyone is in control of their own destiny and, without asking you will never receive. Dermott Dowling is founding Director @Creatovate, Innovation & International Business consultancy. Creatovate help businesses create, innovate and growth through sustainable innovation processes and spreading their wings outside their home base. Previous articleWhy do 30 per cent of new managers have an epic fail within the first two years?